The Force of Jelly Belly Candy is strong! Enjoy this sweet treat anytime. The figural Stormtrooper Commander is there to dispense a handful at your command! 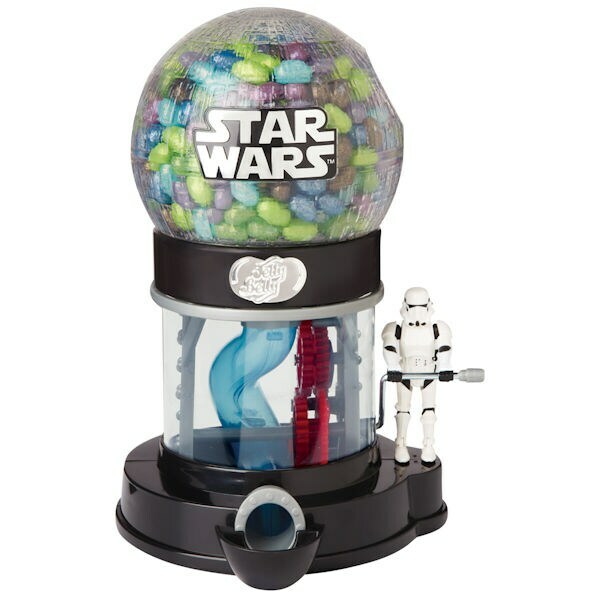 For a galactic flavor sensation fill with Star Wars™ Galaxy Mix sparkling jelly beans (flavors include Blueberry, Grape Soda, Island Punch, Sour Apple, and Wild Blackberry). Fat free, gluten free, and peanut free. Dispenser holds 22 ounces of jelly belly candies. Plastic. Made in the USA. 10¾"x 7½"x 6½".